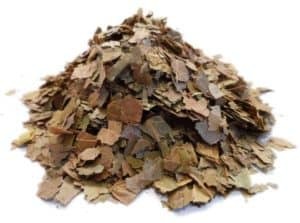 Combretum micranthum (commonly known as Kinkeliba) and Hibiscus sabdariffa (commonly known as Bissap) are often used for the preparation of beverages in Western Africa. They are also widely used in traditional medicine to treat several diseases such as hypertension. A prospective randomised controlled trial has been lead with 125 adults with non-complicated arterial hypertension (>140/90 mmHg). For 4 weeks, the antihypertensive effect of these plants has been compared to the one of Ramipril (cf. figure). Kinkeliba and Bissap have both been associated with a reduction of arterial pressure for these patients which was comparable to a Ramipril treatment. It has been observed, that Combretum had a slightly stronger effect on the systolic pressure and Hibiscus a slightly stronger effect on the diastolic pressure. The Antenna Foundation distributes its technologies via social entreprises. The benefits of its sold products will be used to finance further studies in developing countries. 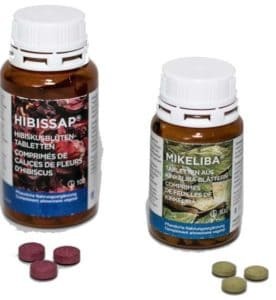 For the antihypertensive drugs, it is collaborating amongst others with the University of Geneva, the University Gaston Berger in St. Louis and the DIXA AG in St. Gallen, which sells the products under the name of Hibissap® and Mikeliba®. As a Swiss enterprise, you can directly contact the DIXA AG by email: [email protected]. This project is an initiative lead by Antenna Medicine aiming at confining the hypertension epidemy among not only deprived populations but also in western countries where the demand for natural products without secondary effects is rising. The treatment has been well tolerated and no serious adverse event has been reported in link with the treatment. The absence of microbial contamination, heavy metals, pesticides and aflatoxins is verified in Switzerland in order to answer the quality demands of the European Pharmacopeia. Furthermore, every plant lot is standardised according to the European norms. All the plants have been cultivated and prepared with care by a women’s cooperative in Senegal. The whole process is in accordance with the principles of equitable commerce. A new multicentric randoised controlled trial is in progress – this time to see if a combination of both plants can overcome more resistant hypertension. This step is essential before being able to disseminate the results and to follow the impact on public health. It is not enough to lower arterial pressure, it is also essential to assure that this decrease goes hand in hand with a reduction of health problems in general. The team in Senegal consists of teachers and practicians at the medical faculty of Saint-Louis in Senegal and at the attached hospital. Local students are participating as well, particularly as a part of their doctoral theses. Seck SM, Doupa D, Dia DG, Diop EA, Ardiet DL, Nogueira RC, Graz B, Diouf B. Clinical efficacy of African traditional medicines in hypertension: A randomized controlled trial with Combretum micranthum and Hibiscus sabdariffa. J Hum Hypertens. 32(1):75-81, 2017.